It was the Legislature which had the power to decide on a course of action to stabilize the country as it the institution which exercised people’s sovereignty on behalf of them, UNP Leader Ranil Wickremesinghe said yesterday. Mr Wickremesinghe expressed this sentiment at the opening of Rise for Justice protest rally near Town Hall. “It is Parliament which exercises people’s sovereignty on behalf of them. Therefore all important decisions have to be made by the House. Therefore the Executive is also bound to implement what is decided by Parliament. 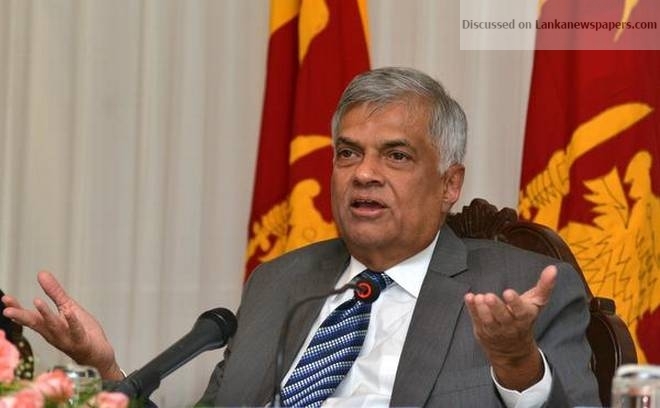 “The power is vested in Parliament in accordance with the 19th Amendment to the Constitution,” Mr Wickremesinghe said. “Our effort through this Rise for Justice Protest is to safeguard the people’s sovereignty and their right to franchise,” he added.